The Schecter Omen 8 String Guitar is a fantastic value for money 26.5-inch scaled electric guitar, featuring a solid Basswood body construction, Maple neck and Rosewood fretboard. 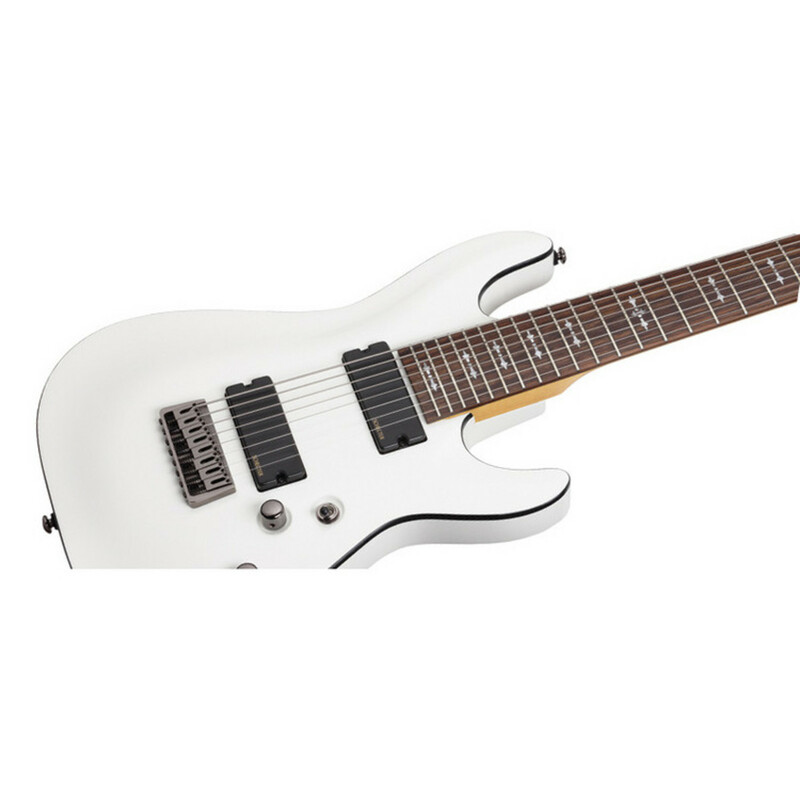 The Schecter Omen 8 Guitar features Schecter Diamond Plus Omen-8 pickups with basic control parameters of tone and volume along with a 3-way toggle switch for pick-up selection. 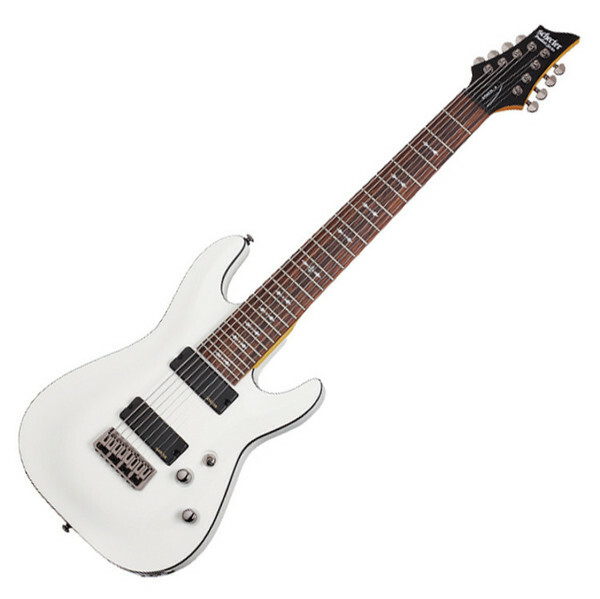 The stylish vintage white 8-string guitar comes with black body binding, bolt-on Maple neck and Rosewood fretboard featuring semi goth pearloid fret markers. The HB-105/8B-105/8N pickups are made and adjusted for the eight-stringed guitars and represent one of the best options in the budget-friendly region of the market.